Written Palette, Guest Blogger, Mary McGrath article called The Comfort of a Dog: An Unexpected Gift from My Mother. 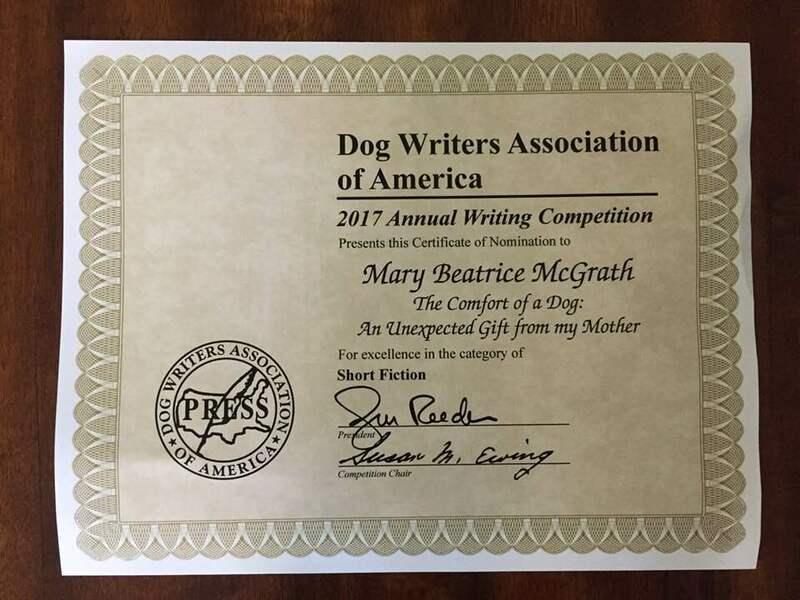 This article was a finalist for a Maxwell Medallion Award in the 2017 Writing Competition sponsored by the Dog Writers Association of America. Mary received a Certificate of Nomination for excellence in the category of Short Fiction.